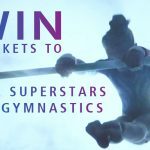 The 47th Artistic Gymnastics World Championships started yesterday (2nd October) with the Men’s qualifying rounds, and run all this week until the Sunday 8th October. Today is the final round of Men’s qualifying competition, then the Women’s qualifying rounds. There is no team competition the year after an Olympic Games so our gymnasts are vying for places in the individual all around and individual apparatus finals. At the end of today we will be able to confirm* which gymnasts have made which finals, and therefore a chance to medal. Get to know your British representatives below! Top Results: Georgia is a 2-time British Bars champion, winning silver at this year’s British. Look out for her difficult flight combinations! Last month she won a silver on Beam at the World Challenge Cup in Bulgaria. Top Results: Claudia was the first English woman to win 4 Gold medals at the Commonwealth Games since 1930, when she won Team, AA, Floor and Vault golds in 2014. She then helped Britain achieve their first ever team World medal in 2015. Last month she won gold on Floor and bronze on Beam at the World Challenge Cup in Paris. Top Results: Amy won a bronze medal on floor at the Rio 2016 Olympic Games. This made her the second British gymnast ever to win an Olympic medal, following Beth Tweddle’s Bars bronze at London 2012, and the first British woman to win an Olympic Floor medal. Last month Amy won a floor bronze at the Hungary World Challenge Cup. Fun fact: Alice made her International Senior debut for Great Britain this year at the World Cup in Stuttgart, Germany. Top Results: In 2016 Alice became the first ever Junior European Beam medallist, winning Silver. She then took Silver on Floor as well! At this year’s British Championships Alice finished in 2nd place AA, behind Ellie Downie. Last month she came 1st AA in an friendly international competition in the Netherlands. The women’s reserve is Charlie Fellows, who trains at Park Wrekin with Alice. Charlie won bronze on Floor at this year’s British Championships, and the all around gold at last month’s 2017 Adrian Stan Team Competition. She also won bronze at the Netherlands Invitational, making it two Brits on the podium, along with Alice. Speciality: Floor. Dan is a European and World Championship medallist on Floor. Top Results: As well as being a (multiple) World and European medallist, Dan was part of the Olympic team that won Bronze in 2012. He’s also a 4-time British AA Champion. Top Results: Max hit headlines last year after his historic victories at the Rio Olympic Games: Floor Champion, Pommel Horse champion, as well as finishing 3rd AA! As Max also won gold on pommel at the 2015 World Championships he will be looking to defend his title on this apparatus in particular. Fun Fact: Max got married earlier this year to his childhood sweetheart Leah Hickton. Top Results: Courtney has always been a strong Rings worker and has multiple British titles on this event, as well as a Junior European title and Senior European silver medal, which he gained earlier this year. He’s made the Rings final at the World Championships before, and will be hoping to do it again. Top Results: He may be a first year Senior, but this year’s Senior British Champion has already proved himself on the National and International stage. He won the European Youth Olympics in 2015, then the Pommel and AA bronze, as well as P-Bars gold, at the 2016 Junior European Championships. This year he took 6 medals on top of his Senior AA title at the British, including High Bar gold, before finishing an impressive 5th AA at Senior Europeans. Fun Fact: Joe models for The Zone! Top Results: In 2015, James took the AA bronze at the British Championships. Perhaps more notably however, he also took the Masters bronze on Pommel Horse, behind Olympic medallists Max Whitlock and Louis Smith. At this year’s British he had another great competition, taking the AA and P-Bars silver medals, and the Pommel Horse and Masters P-Bars golds. Then, at this year’s Senior Europeans he finished with a spectacular bronze medal all around. Top Results: In 2014 Nile became both a Team and High Bar Commonwealth Champion. In 2015, Nile was part of the first British team ever to win a medal at a World Championships (silver). In 2016, Nile won team silver and H-bar gold at the Senior Europeans. Then, at the Rio Olympics, he became the first ever Horizontal bar Olympic medallist for Great Britain. Fun Fact: Nile runs a popular Youtube channel. He recently collaborated with Tom Daley. Reiss Beckford of South Essex Gymnastics Club also competed yesterday, however he now represents Jamaica. Come back to The Zone’s blog on Thursday to find out who made which finals, and more fun facts about this year’s World Championships!